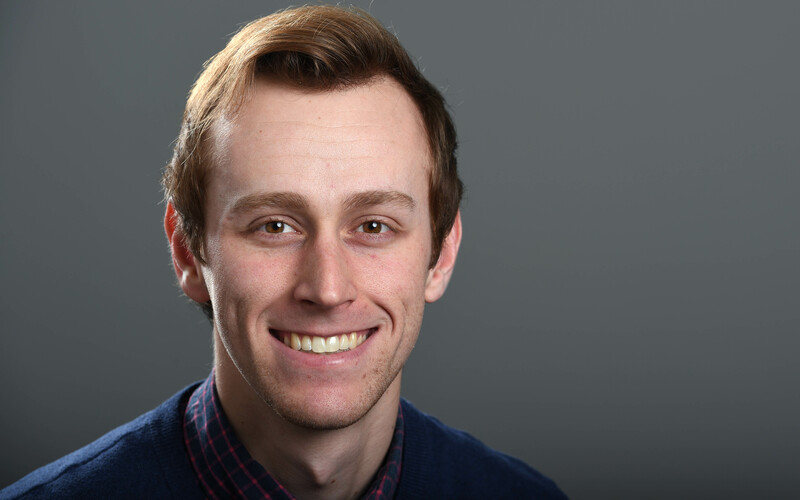 Chad Sokol joined The Spokesman-Review in 2015. He is a reporter for the City Desk covering higher education and county government. UPDATED: Fri., April 19, 2019, 7:33 p.m.
A 23-year-old Washington State University student was arrested Thursday morning after detectives sent an informant to purchase drugs and then raided the suspect’s house in Pullman, finding a half-pound of cocaine and 60 tabs of Xanax, the oft-abused anxiety medication. UPDATED: Fri., April 19, 2019, 8:18 p.m.
Nathan L. Utt, 43, was last seen at about 11:30 a.m. Monday in the 9000 block of Maple Street in Hayden. Chelan County Sheriff Brian Burnett announced Thursday that an outside law enforcement agency, the Thurston County Sheriff’s Office, will review “possible errors in handling evidence” related to the bust, which also involved the seizure of guns and cocaine. The former site of the Aryan Nations compound near Hayden Lake will soon be put up for sale. The North Idaho College Foundation plans to sell the undeveloped 20-acre property along Rimrock Road and put the proceeds into an endowment for human rights education. Four months after Gonzaga University was criticized for allowing sexually abusive priests to live on campus, Gonzaga President Thayne McCulloh announced Monday he is assembling a commission to address the abuse crisis that continues to grip the Catholic Church. Postcards and flyers espousing racist conspiracy theories were distributed at North Idaho College and at least one nearby neighborhood in Coeur d’Alene, with some materials targeting the college’s fourth annual Diversity Symposium, happening Tuesday. A four-hour police standoff at a downtown Spokane motel ended Monday evening when the suspect emerged onto a second-floor balcony while repeatedly stabbing himself with a knife. SWAT officers fired “less lethal” rubber-tipped rounds to disarm the disarm the suspect, 53-year-old Jimmy R. Engleman, at the Downtowner Motel at 165 S. Washington St. Facing a projected $3.6 million budget shortfall, Eastern Washington University is working to cut costs by restructuring colleges and academic departments – a process that will affect jobs. EWU President Mary Cullinan and Uriel Iñiguez, chairman of the board of trustees, made the announcement in an April 8 email to faculty and staff, saying the university can’t afford to continue dipping into reserves. A Navy spokeswoman said the Feb. 11 incident remained under investigation Tuesday, but a buildup of ice may have been a contributing factor. The Naval Safety Center classified the incident as a “Class A” mishap, meaning the vessel may be totally lost or damage may exceed $2 million. UPDATED: Mon., April 8, 2019, 8:09 p.m.
An employee at a metal recycling yard in Spokane Valley inadvertently started a large fire while using a cutting torch Monday afternoon. Local leaders have set out again to determine whether Spokane County needs a new jail. This time, vocal community members and reform-minded criminal justice experts are pushing back against the idea, arguing the county should fundamentally reconsider its reliance on incarceration, especially for those awaiting trial. As talks continue, the history of local detention facilities might offer some valuable insights. Dolezal, who changed her name to Nkechi Diallo in 2016, entered the diversion agreement March 25 in Spokane County Superior Court. She could still face a trial on the original charges if she fails to complete any part of the program, including the mandated community service hours and drug and alcohol tests. UPDATED: Tue., April 2, 2019, 10:25 p.m. In an interview with detectives last year, Merlyn R. Schmelzer described how he raped the girl, a relative by marriage, at his cabin near Loon Lake and at a home in Cle Elum, Washington, according to court records. Mon., April 1, 2019, 8:41 p.m. Billed as “one of the world’s leading interdisciplinary academic forums on hate, related social problems and ways to create socially just and inclusive communities,” the conference will run Tuesday evening through Thursday afternoon in Gonzaga’s Hemmingson Center. The Washington State Patrol reported Jessica H. Fisk, 21, was driving north on U.S. Highway 395 and failed to stop at a red light just before 11 a.m., crashing her Dodge Challenger into a Toyota minivan in the Hawthorne Road intersection. Over the course of a decade, a former Spokane County employee stole more than $1.38 million in taxpayer money using dozens of relatives and acquaintances to cash checks for falsified liability claims, according to county officials and state auditors. The same woman, Rhonda S. Ackerman, 50, was recently accused in a civil lawsuit of stealing money from her mother, who has dementia, after assuming power of attorney over her bank and retirement accounts. Don’t be alarmed if you spot patches of gray or pink fuzz on your front lawn. Instead, gardening experts recommend you grab a rake.